On its 19th year, Cine Europa features 20 films from various countries to be screened at Shang Cineplex, Shangri-La Mall in Mandaluyong City from September 8 to 18, 2016. Admission is FREE! 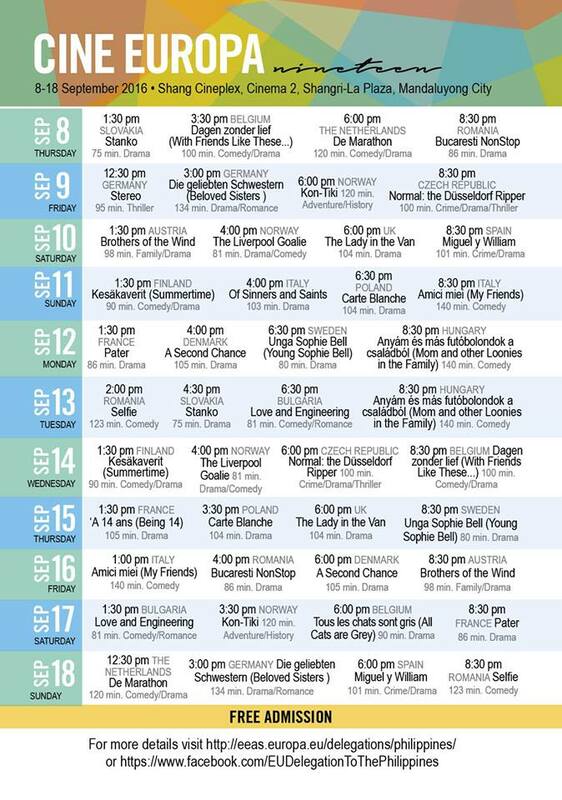 Award-winning Filipino filmmakers join this year's Cine Europa in celebration of "Friendship." Filipino-Italian filmmaker, actor and musician, Ruben Soriquez, Cannes awardee Brillante Mendoza together with Ruben Ribay, Gabby Fernandez and Alem Ang will share their experiences and insights about how they made it to Cannes Film Festival and other festivals in Europe. "The friendship between the EU and the Philippines is the reason why Cine Europa has endeared itself in the hearts of the Filipino people," EU Ambassador Franz Jessen said as he thanked Cine Europa partners and supporters throughout the festival's 19 years during a press briefing held at Shangri-La Plaza in Mandaluyong, the home of Cine Europa in Manila. 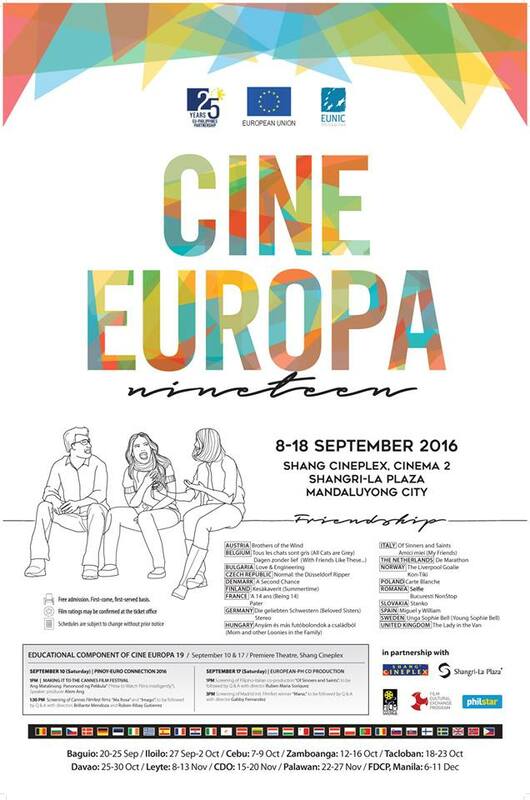 Cine Europa Film Festival starts its public screenings in Shangri-La Plaza from September 8 to 18, 2016 after which the festival travels to 10 other venues in the country.